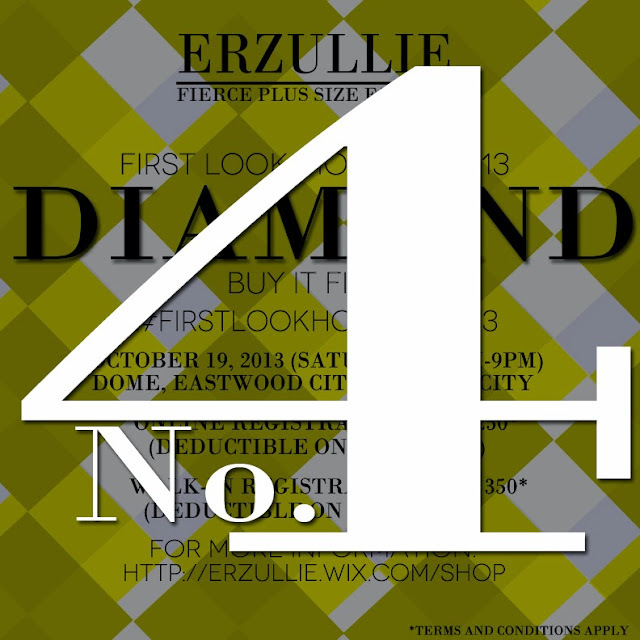 PLUS SIZE EVENT: ERZULLIE #FIRSTLOOKHOLIDAY2013 NEXT SATURDAY! Be the first to see this demi-couture collection before everyone else! Want more reasons? Check out #4 and #5! They say plus size women should not be wearing frills, but well that rule got junked by an Erzulliesta! As a Saturday Style special, here is Lornadahl Campilan of Pinay Curvies wearing this shirring skirt --- frill style. Fierce, sophisticated, comfortable and classic! We gave out reason no. 5 and if that is not enough to convince you, how about some 50% off on some of the past collections? 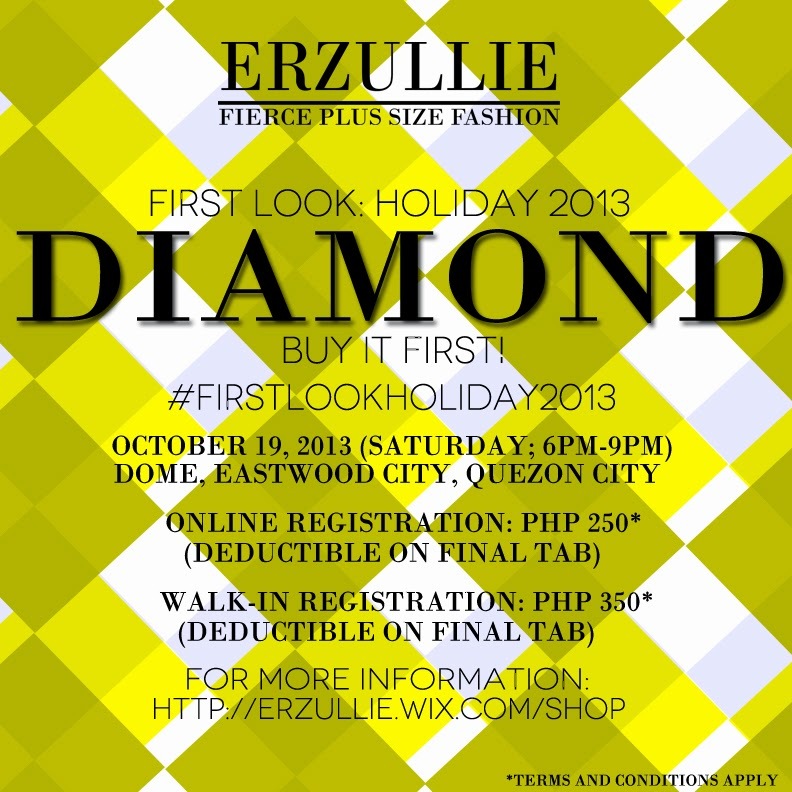 The Erzullie First Look: Holiday 2013 event will happen on October 19, 2013, Saturday (6pm-9pm) at DOME, Eastwood City, Quezon City. Online registration (Php 250) is only until October 16, 2013, Wednesday. Walk in registration during the event is Php 350 and only during 7pm-8pm of the event.